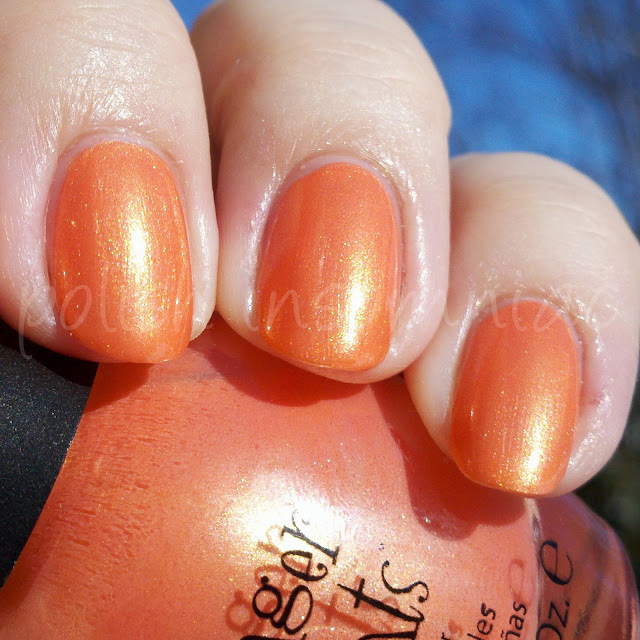 ﻿The wonderful people at FingerPaints sent me their new Spring Collection to review! Let's jump right in! Finger Paints Did You Ast-her Out? Did you Ast-her Out is an in-your-face-but-not-in-a-bitchy-way pink jelly. For a jelly formula, it really is unbelievable. This is three coats, with no top coat or base coat, and it still looks perfect! 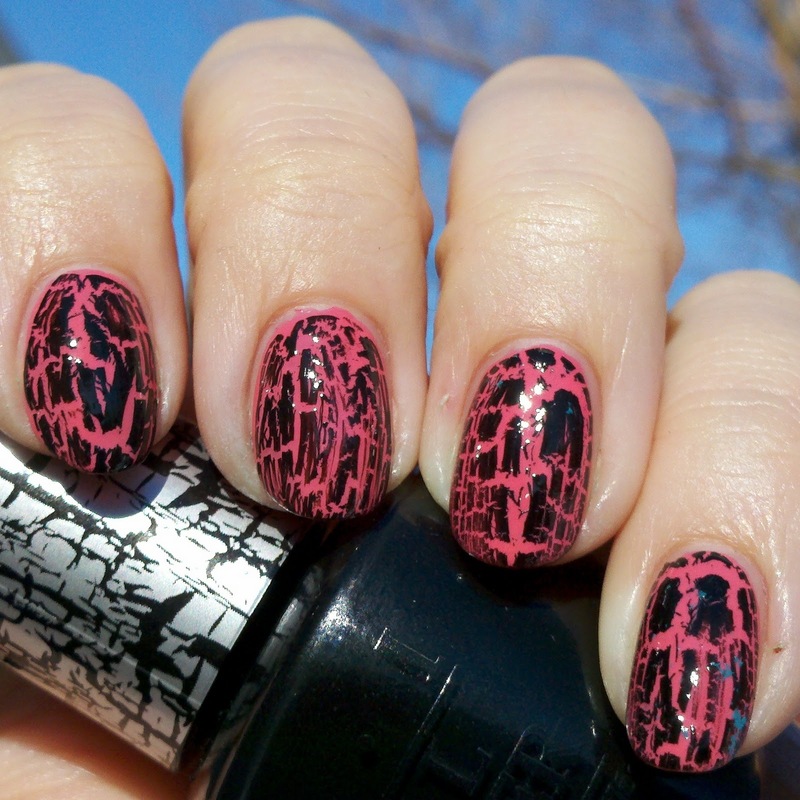 ﻿Doesn't it look great with the black crackle on top??? Chrysanthe-mum's the Word is a beautiful lime green. Think budding spring flowers, not Shrek. The first coat went on streaky, but the second coat plus a layer of SV (Seche Vite) leveled it out. 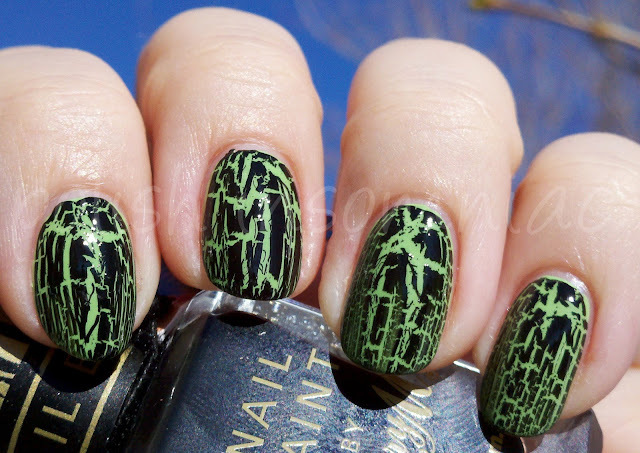 I really love these as a base for the crackle!!! 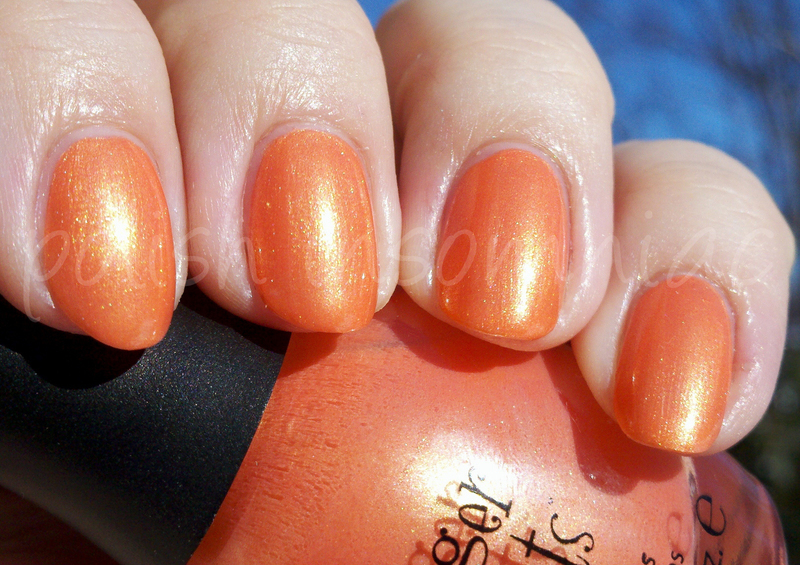 Dahlia My Number - Orange shimmery, minimum 2 coats, but I had to use 3 due to some cuticle drag. Reminds me of the bright orange you find in tangerines. Not lovin' it with my skintone! Looks great in the pic though, very summery and happy! ﻿Alright, I know, enough with the crackle already! I just had so much fun comparing the two brands! 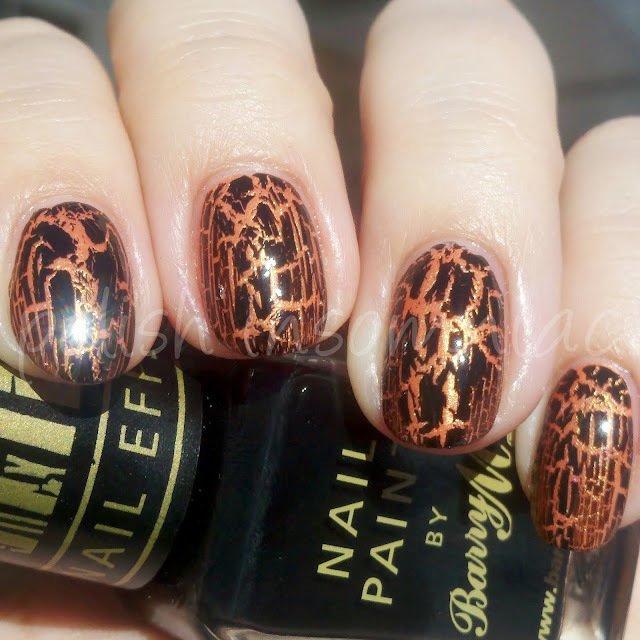 If you want to know which crackle polish was which, click here. Carnation Creation is actually teal, not pink! I heard from Scandalous Ange that this color stains without the appropriate basecoat, *after* I put on the first coat! I put the second coat on, ran outside, took one pic, hoped for the best, and ran back in. I survived with very minimal staining, thank goodness! I will definitely take the time to double up on basecoat because this color is to cool to pass up! Aren't you Glad-iolous is a ONE COATER. A PASTEL ONE COATER. Magic. This is going to be my go base color for spring inspiried konads! Heavenly Hydrangeas has the most perfect formula. I used one coat of base coat and two coats of polish. It practically applied itself, and was so shiny there was no need for SV! There is honestly not a single color I would tell you to skip. I am already planning on being at Sally's on March first to pick up a set for my favorite UK blogger!